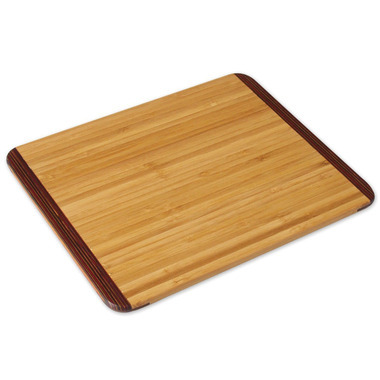 11" x 9" x 3/8"
This Island Bamboo Rainbow Utility Board is an earth friendly choice for your kitchen. Size: 11" x 9" x 3/8"
This is a nicely made, good quality board, but I find it slides around on a granite counter and have to put a mat under it. It's a hard surface to cut on and works well in that respect, but my personal choice is cork rather than bamboo.